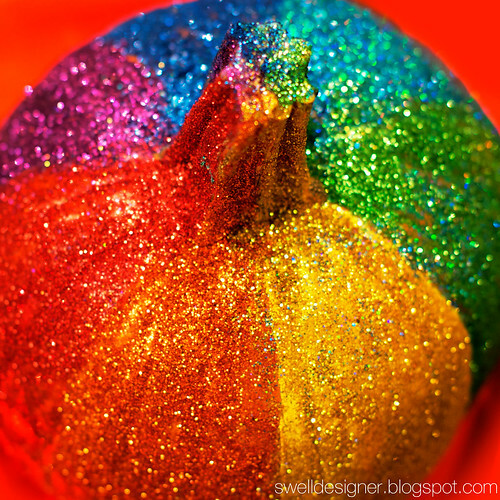 How to make a Rainbow Glitter Pumpkin! I am a big COLOR girl, I love everything bright, colorful, and fun. Just because the traditional Halloween pumpkin may be orange, doesn’t mean it has to be! 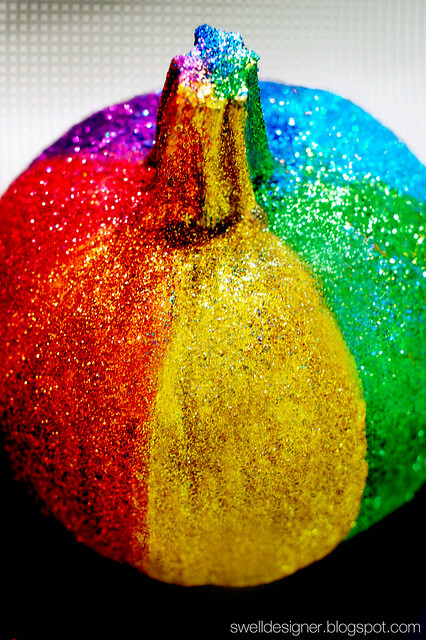 I whipped out my glitter, paint, and paintbrushes and decided to transform my pumpkin into a Rainbow glitter pumpkin! 1. Squeeze out your paints onto palette. 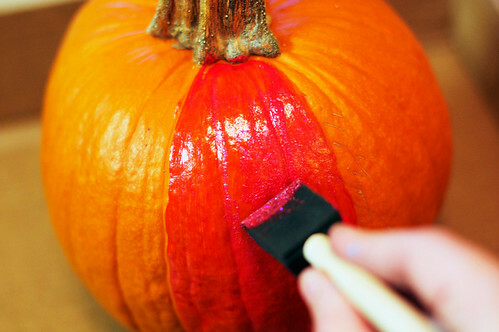 Use foam brush to form first stripe on pumpkin. Paint from top to bottom of pumpkin. I even painted the stem! If you feel uncomfortable about making your rainbow rays even, mark off 7 sections with a pencil. 2. 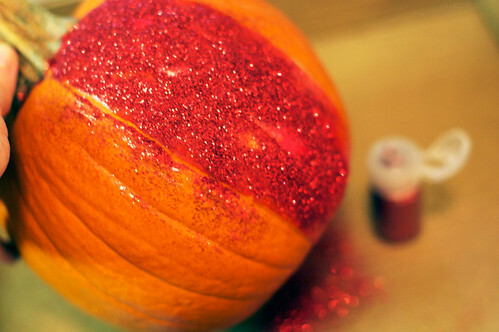 Immediately sprinkle on corresponding glitter color. Shake off excess into your box top. 3. 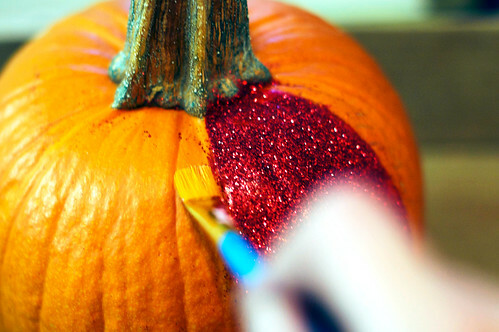 Brush off excess glitter with clean paintbrush. That way you can move onto your next paint basecoat and glitter color. 4. Let dry. Spray with acrylic sealer if desired! Here’s another fun shot! 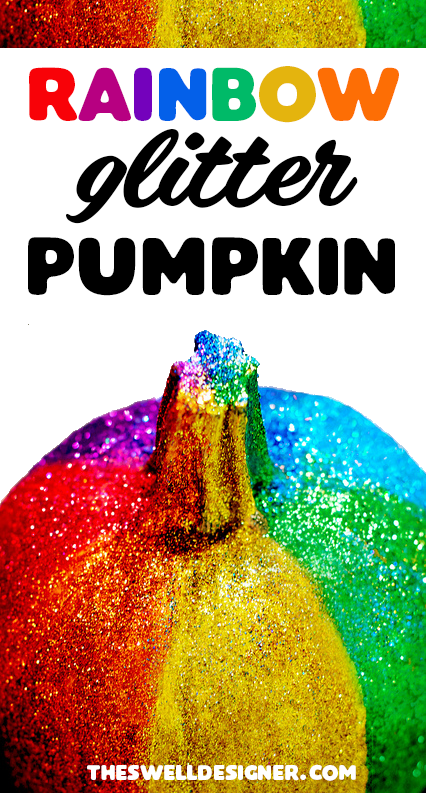 If you paired two pumpkins together, you’d have Double Rainbow pumpkins! Hope you liked this bright and cheery project. 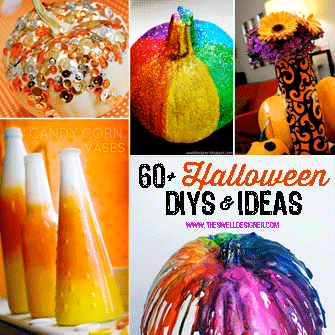 Check out some of my other fun Halloween crafts in my sidebar features! Please check out some of my other pumpkin creations. Click a pic below to be taken to the projects + instructions. I wonder how it looks under a black light? Awesome! And who doesn’t love glitter? I love this, what a great idea! Thanks for sharing. 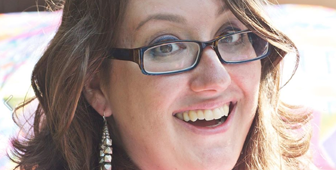 Your blog makes me smile!! 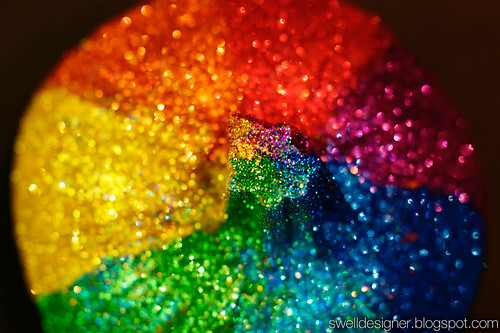 I love all things rainbow too and will definitely be doing this–I will send you a picture!! Thanks for the inspiration! !